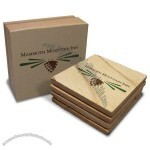 directly onto the stone for a durable imprint. 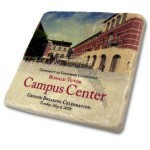 Set of 4 absorbent stone coasters. 4.25" diameter with cork backing. Each set in a printed box. Printing: Unlimited colors. No set-up, no color charges. 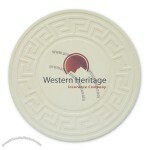 Single absorbent round stone coaster. 4.25" diameter with cork backing. Each set in a printed box. Custom-made Sandstone Coaster From China Factory, Low price Sandstone Coaster, Top Quality, True wholesale source for original!